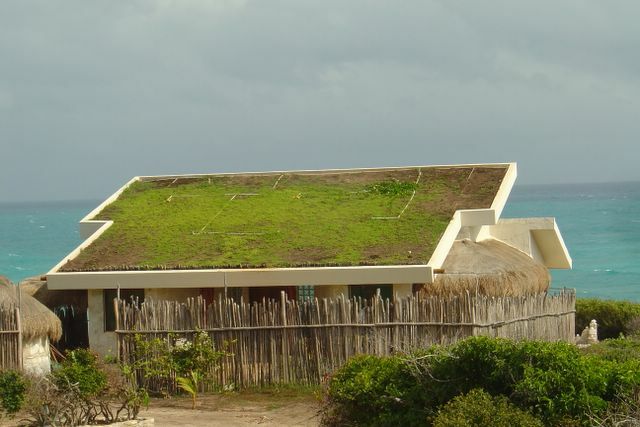 Now here is a very "earth friendly" home. Note that the roof is actually a garden plot. Photo taken at Isla Mujeres, Mexico.